I’m pregnant. Most women when they have that news are elated and can’t wait to share. They start choosing baby names, creating a registry and planning the nursery. They share the exciting news on social media, with friends, family members and co-workers. After all they only have 40ish weeks to prepare before the arrival. I was like that too, after all I was 9 week along with TWINS! My husband and I went to my first OB appointment together. This was our third pregnancy. Our first two children were still very young but we wanted one more addition to our family. 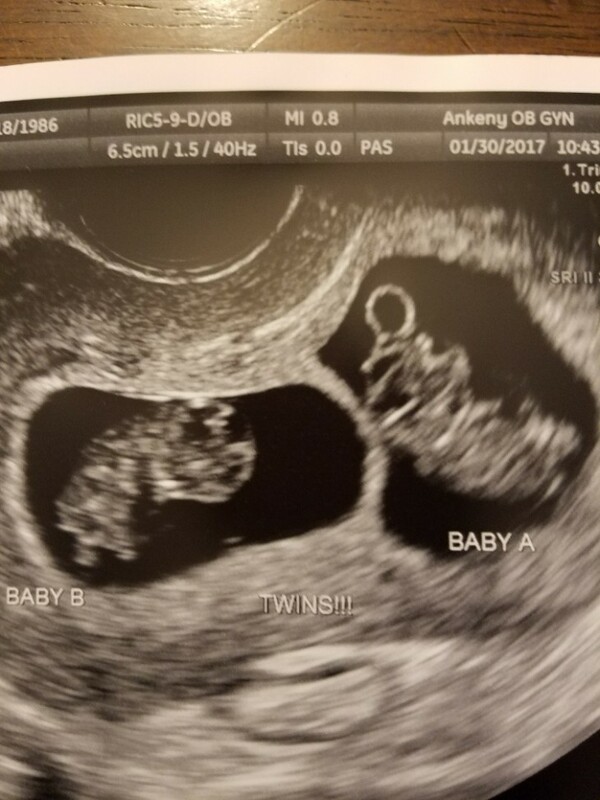 To say we were shocked to be having twins was an understatement. We left the OB appointment with so many scenarios to consider. How were we going to arrange the kids’ rooms? Could we handle fours kids? We started planning. We went minivan shopping that afternoon as we would defiantly need a larger vehicle, but how were we going to arrange four car seats? We called our immediate family and shared the news (they didn’t even know we were expecting). They were shocked. We told a few close friends and specifically friends of twins. We needed support and advice. Were we going to survive? Yes, they reassured us. I had the perfect social media post pictured in my mind and ready to share. As the weeks passed I had an idea how I was going to handle my career and juggling 4 small children. Our mindset shifted from shock to being ready to take on the challenge. I was excited to take on the challenge that not many women get the opportunity to. Three weeks after receiving the news of expecting twins we went to our first perinatal appointment as I was now considered high-risk. We took the other two kids to daycare and my husband and I had a full day planned to continue preparing. More minivan shopping, installing a swing set in the backyard to occupy the kids and finalizing some much needed house projects. During the ultrasound we saw Baby A move and kick around. The ultrasound tech took pictures and measurements. Baby was measuring 12 weeks 1 day. Then we got the dreaded news. Baby B did not have a heartbeat. Growth had stopped at 11 weeks 5 days. Just days before our appointment. I believe a piece of my heart died that morning in the ultrasound room. I knew that there is always risk of losing a baby in the first trimester and one in four women experience a miscarriage but you never imagine it happening to you. After returning to our regular OB he was just as shocked as us. There was no sign of irregular growth at 9 weeks and miscarriages later in the first trimester are less common. Suddenly all the planning and excitement of adding a new baby to the family was gone. We had to share the news with our family and the friends we had told. We had follow up ultrasounds every four weeks to continue to monitor Baby A’s growth but also to monitor Baby B’s status. Each time we viewed the small bean my heart ached. It was only three short weeks of expecting twins but I seemed to find joy and excitement in planning the future for our family of 6. It wasn’t fun or exciting to tell others we were expecting so we didn’t say much. When the occasional person would congratulate us I always wondered in the back of my mind if they knew the whole story. When I see infant twins I yearn for wanting to experience what they are experiencing. As time has passed I’m starting to heal. We shared the news when I was a little over 20 weeks along and have resumed planning. After all we are going to be having a baby girl soon! 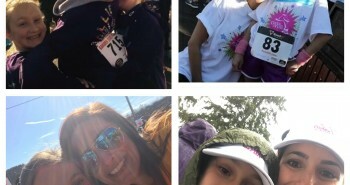 When I reflect on this experience I can’t help but emphasize with all the other women who have had miscarriages, infant loss or struggle with infertility. I can’t imagine women going through this multiple times or never experience the excitement of being pregnant. My heart hurts even more for them. We are at least coming away with one precious baby. Even though I will always consider the “what ifs”, I am still grateful for the family and babies I do have. I feel that as I work through this experience it will only make me a better person, more compassionate and more appreciative for what I do have. Will a piece of my heart always hurt for little Baby B? Yes but I find comfort in knowing that my sweet grandmas are rocking my precious baby in heaven above and someday we will finally meet.